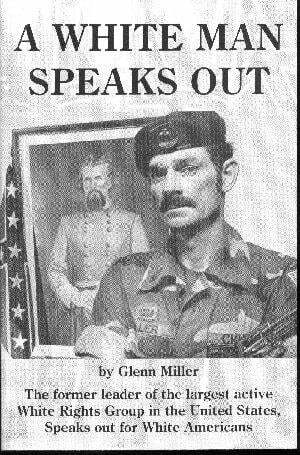 Frazier Glenn Miller, Jr., from Aurora, Missouri, founded and built the only White people’s party ever in the U.S. – the White Patriot Party – between 1980 to 1986, with a peak membership of around 5000. In April 2014 Glenn Miller shot three people dead outside two Jewish Centers in Overland Park, Kansas. On Thursday morning Missouri State Auditor Tom Schweich shot himself in his home. He later was pronounced dead at the hospital. By midafternoon The St. Louis Post-Dispatch published an outrageous hit piece linking Tom’s death to a mass murdering white supremacist. Tony Messenger, the Editorial Page Editor at the Post-Dispatch, also trashed Missouri Republicans and the state of Missouri in the same editorial. I have no idea why Schweich killed himself. But for the past several days he had been confiding in me that he planned to accuse the chairman of the Missouri Republican Party, John Hancock, with leading a “whisper campaign” among donors that he, Schweich, was Jewish. He wasn’t, which is to say that he attended an Episcopal church, but that doesn’t mean he wasn’t proud of his Jewish heritage, passed down from his grandfather. Missouri is the state that gave us Frazier Glenn Miller, the raging racist who last year killed three people at a Jewish community center in Kansas City. It’s the state in which on the day before Schweich died, the Anti-Defamation League reported on a rise of white supremacist prison gangs in the state. Division over race and creed is real in Missouri Republican politics, particularly in some rural areas. Schweich knew it. It’s why all week long his anger burned. @tonymess you had no doubt, you human piece of garbage. Body not even cold you blame repubs. How do you sleep? FYI: Eric Greitens is Jewish.